Darth Vader. A Xenomorph from Aliens. Attack on Titan. That's not mentioning the various other characters as well as animals, too. 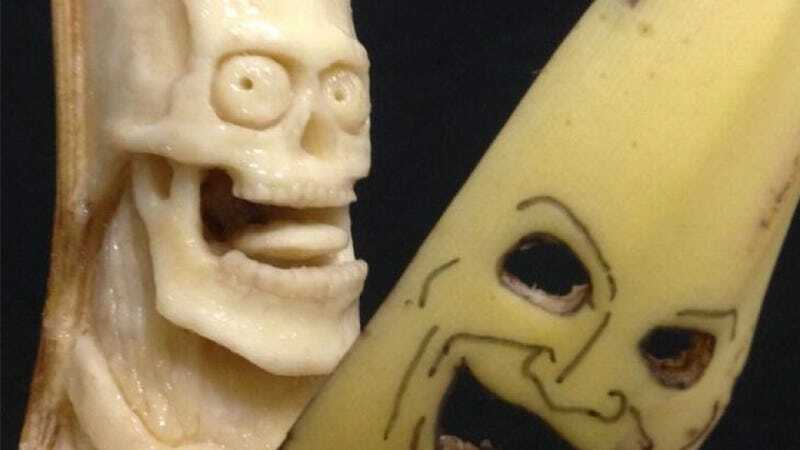 They've all been brought to life in amazing banana sculptures. This is the work of Keisuke Yamada, a banana artist Kotaku first profiled in 2011. To make these sculptures, Yamada, an electrician by trade, must work fast, or the banana will start to go bad. It's a race against time. This Guy&apos;s Art Is Bananas. Literally. It's not that he can just create cool sculptures, but the fact that he can do them quickly is what makes his art so interesting. And delicious. Have a look at what he's been up to recently.